In the end, two boys are ground up by the Miller in the giant flour mill, and then eaten by ducks. Sounds like the latest horror film to come out of Hollywood doesn’t it? But this is the ending of Wilhelm Busch’s “Max und Moritz: Eine Bubgeschichte in sieben Streichen” (“Max and Moritz : A Boyish Story of Seven Pranks”). My mother read the stories to me when I was a child, but I REALLY loved listening to them on my record player… the reader’s voice was deep, and made me shiver with delight and fear every time! But, who are Max and Moritz? And how did these tales of mischief with a very bad ending ever come to be considered a children’s story that would hang on for over 150 years? And, more importantly, how can you get your hands on a copy?? my old beat up copy..
You can bet I put my name in it to keep it safe! The Max and Moritz book is actually a series of 7 stories. The two boys, Max and Moritz engage in increasingly horrible pranks on people in their village. Now, these aren’t just simple practical jokes or boyish mischief … these are mean and even dangerous acts of vandalism and misbehavior that can lead to injury, or worse! The boys kill a widow’s chickens, and then steal the cooked birds from her oven! They saw a footbridge almost all the way through, so when the local tailor walks across, breaks the bridge and lands in the water. Unbelievably, they put gunpowder into the school teacher’s pipe… and it explodes! Their mildest prank, is putting bugs… lots of bugs… into Uncle Fritz’s bed. Then they try to steal bread from the bakery, fall into a vat of dough, and get baked! They survive the oven, and eat their way out of the loaves. But their last prank is the end of them… they cut open bags of grain… and the farmer loses his temper, takes them to the Miller, who grinds them all up. And no one is the slightest bit sad about it. Even Uncle Fritz feels they got what they deserved. 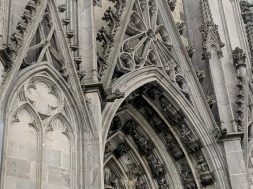 When he was 9 years old, Wilhelm Busch was sent to live with Pastor Georg Kleine in Ebergötzen (in Lower Saxony) to further his education. He immediately befriended the miller’s son, Erich Bachmann, and together they “conquered” the village. Some of Max and Moritz’s pranks are based on their childhood shenanigans. The footbridge is still near the mill, and Frau Bolte’s home is also close by…. 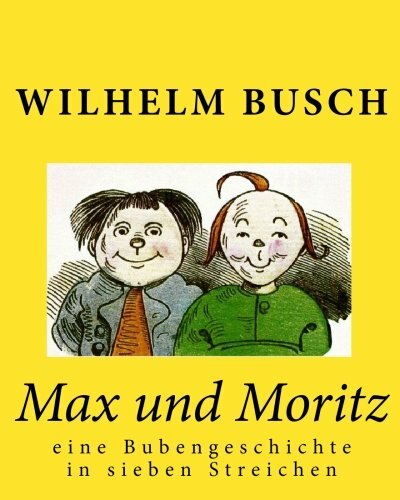 Busch wrote and illustrated the “Max und Moritz” stories in rhyming couplets… so if they are read in German, the story has a very specific cadence (and once you hear it, you NEVER forget). The story of the Max and Moritz rolls along in a way that captures your attention. Yet, in a world where we so often shelter our children from harsh realities or violence of any sort, it may seem strange that parents in Germany considered Max and Moritz bedtime reading material. 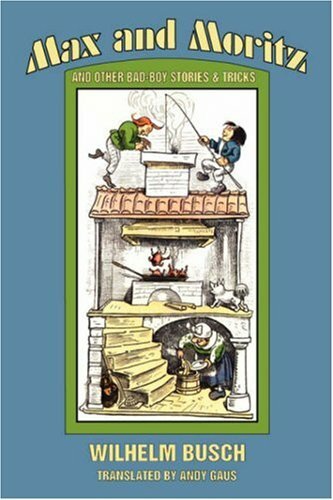 But when you consider that Heinrich Hoffman published “Der Struwwelpeter” as a book of lessons for his 3 year old 20 years earlier, and that the original Grimm’s Fairy Tales are far bloodier than Disney lets on, it sort of makes sense. Stories often had morals or lessons in the end. 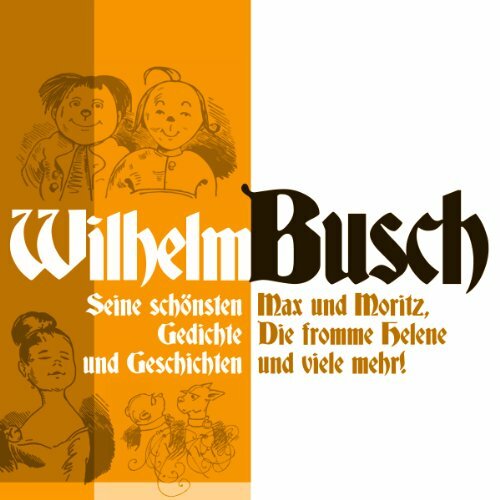 Despite this, Wilhelm Busch never intended for Max and Moritz to be for children. Originally, he wrote them as a social commentary about Germany in the early 1860s. In this post-1848 Revolutionary period, there was a serious upheaval in the population. People from the rural areas were leaving farms and going to the cities, or emigrating to America. Thousands of children were often left on their own to fend for themselves. And for some, the only way to survive was to steal food. If they were caught, they would be thrown in jail, and repeat offenders would be sentenced to death. Busch submitted the stories for publication, but was initially rejected because it didn’t seem like the kind of story that would sell. Finally, he was able to sell Max and Moritz (including all rights to the story) for 1000 Gulden (a decent wage at the time). Before his death in 1908, he saw the book sell more than 430,000 copies in multiple languages. 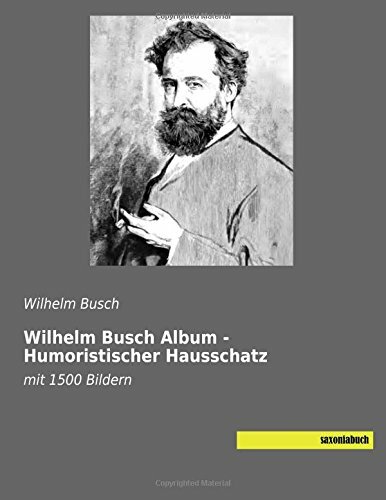 While he may be best known in the US for Max and Moritz, Wilhelm Busch was a prolific poet, artist and satirist. (We always had the big red book of Busch poems on our shelf at home.) 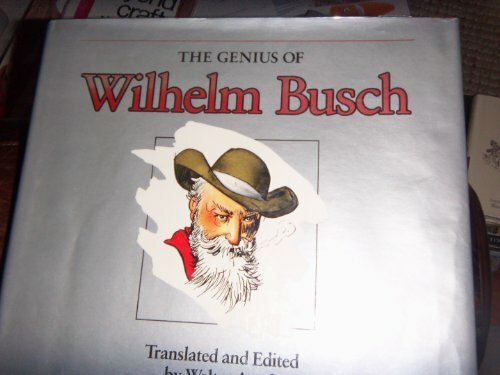 Wilhelm Busch is also considered the father of the comic strip. His “Moritzian” style was often imitated. The American comic strip “The Katzenjammer Kids” is based on Max and Moritz… yet he never saw a dime from it… he had sold all the rights to the publisher of the stories.